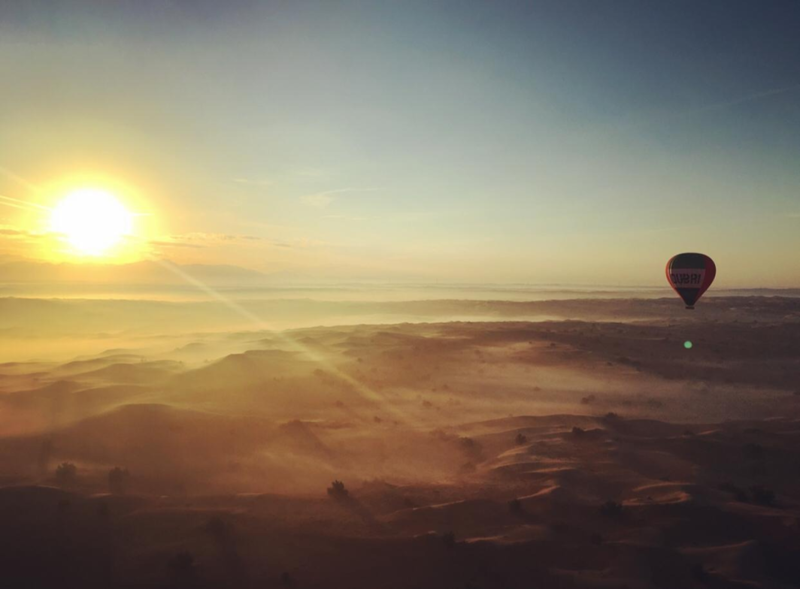 One of our Hot Air Balloon Pilots, Andrew Parker has recently set off on the next leg of an incredible journey. 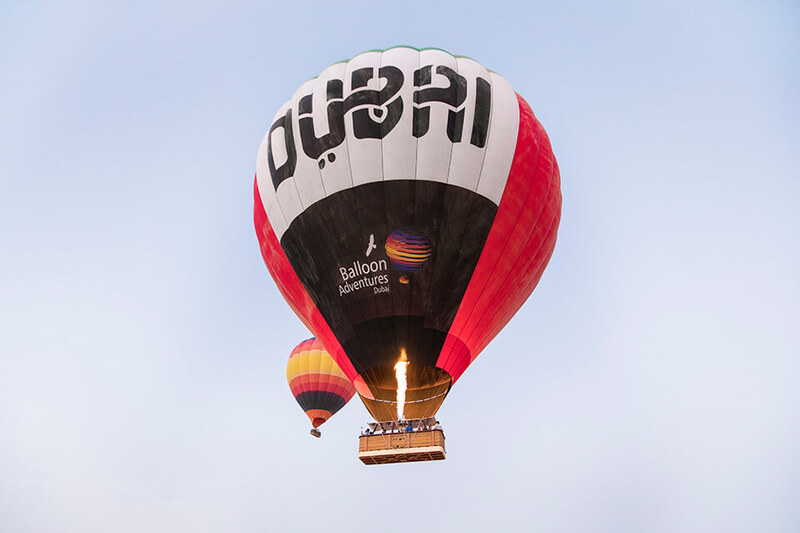 This inspirational story all started with a passionate Pilot with a hot air balloon and a vision to make a difference. 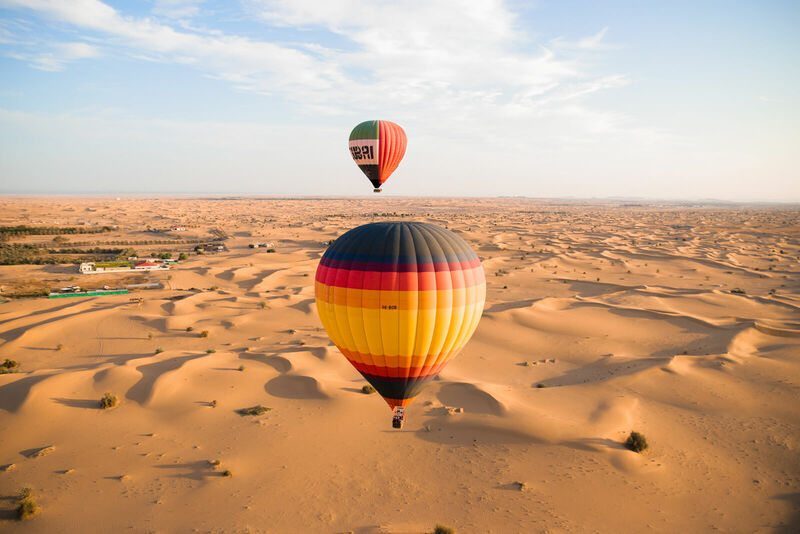 When Andrew is not busy with taking our Guests on the most memorable Hot Air Balloon rides across the Dubai desert, he pursues a personal passion project, called the Flying High For Kids World Balloon Project. He travels around the world flying a UNICEF branded balloon in different countries, bringing smiles to kids’ faces to raise awareness for UNICEF’s important work and to encourage children to follow their dreams. We touched base with him before he left for the next part of his journey which will be taking him through South America, to chat to him about the connection between Hot Air Balloons, children’s dreams and unique travel experiences. 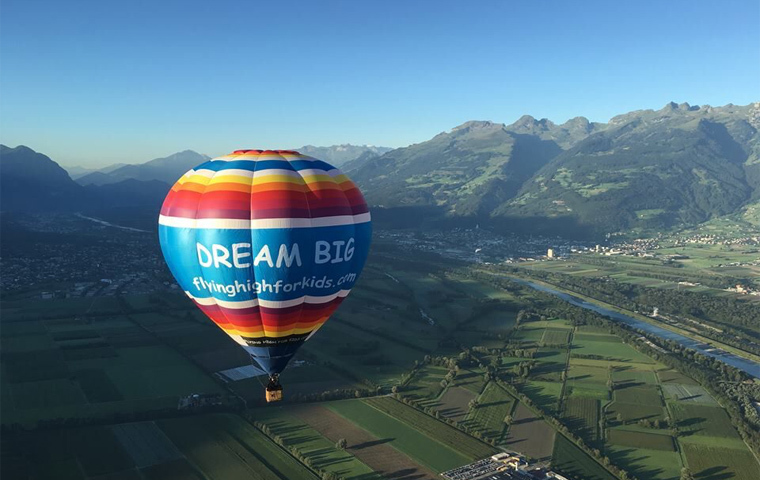 The ‘Dream Big’ Hot Air Balloon is inspiring children around the word. For Andrew, Hot Air Balloons have always symbolised freedom and adventure (for us too)! He explains how “when you fly in a balloon, you never know exactly where you’ll end up, therefore every flight is unique”. 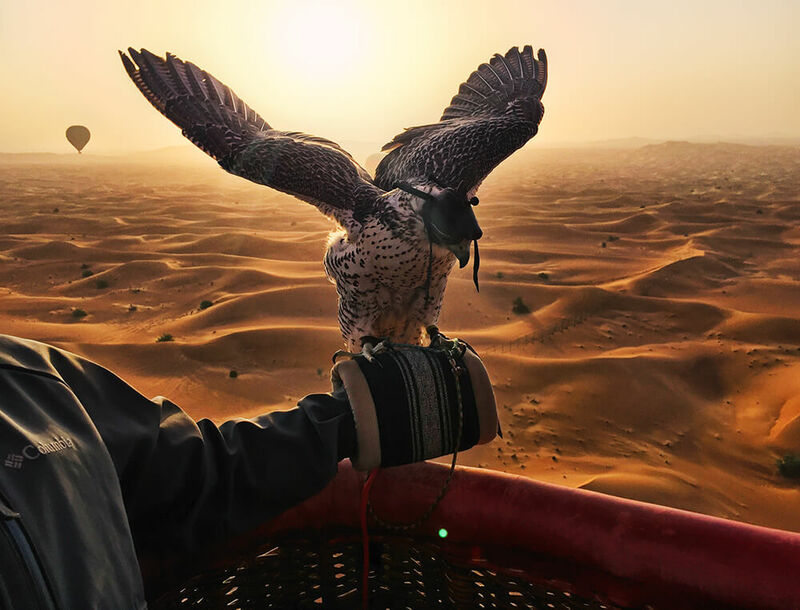 As a pilot, he feels at one with the wind and shares how when he is flying, he is constantly thinking, looking for changes in wind direction and speed; this is what makes being a Hot Air Balloon pilot both challenging and fun! 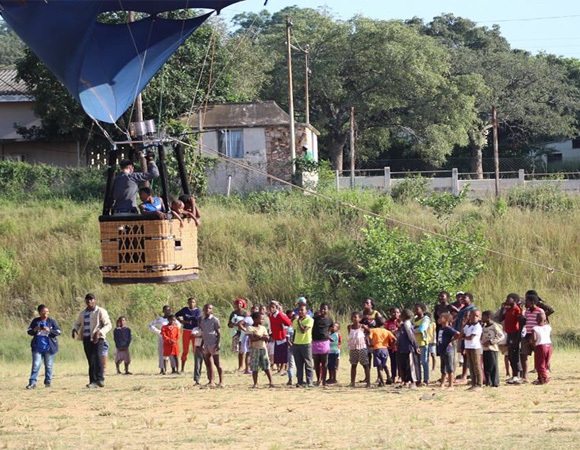 Flying a Hot Air Balloon around the world to some of the most remote corners of the globe, all with the aim to promote the message that children should follow their dreams is quite a feat. When asked to explain why, Andrew recounts the first time he saw a balloon: “It was amazing to see such a huge thing which floats almost silently across the sky. It was big, bright and colourful, which always captivates the imagination”. Of course, we agree with him that there is a certain magic to balloons and we can understand why they fascinate and enchant not only children, but all of us! Andrew shared that one of his best memories of this journey so far was during the first flight of a balloon in Tajikistan when 5000 children gathered in cheers of excitement to watch the balloon take off. This ongoing journey has taken Andrew and his multi-coloured UNICEF branded balloon to some of the most isolated places in the world, like rural villages in Africa. It’s places like this which are truly special as the children these parts will probably never get the chance to see a Hot Air Balloon like this. Once you start travelling, the world feels like a smaller place. For many travellers, meeting new people, experiencing different cultures, viewpoints, religions, seeing how different people live and having unique travel experiences like hot air ballooning, gives people a better perspective on life and more meaningful travel stories to go home with. 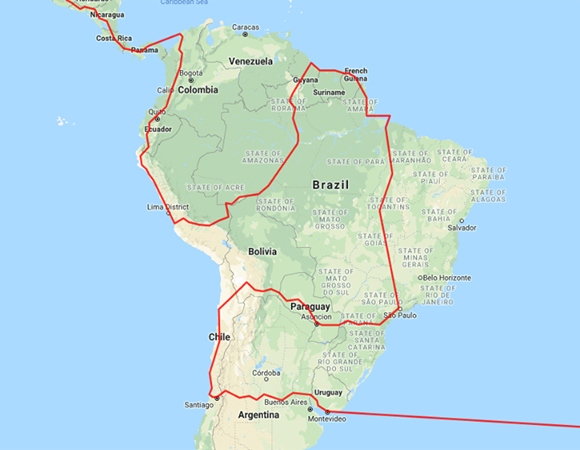 Andrews’s upcoming route in South America.